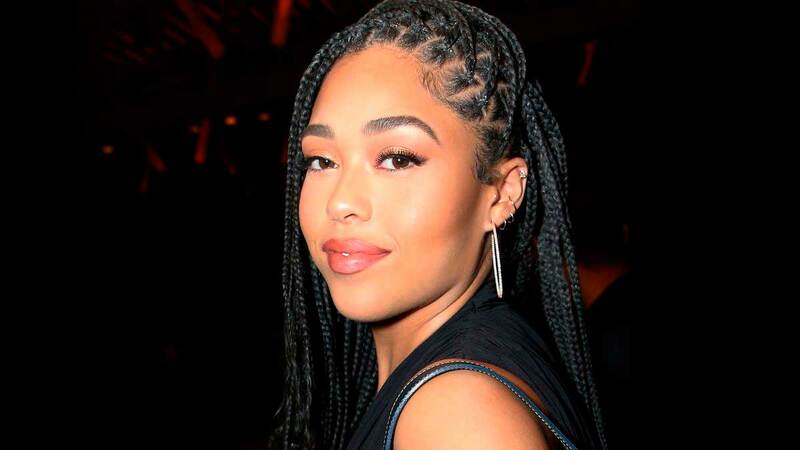 The first weekend of Coachella is officially a wrap, but the awkwardness between Jordyn Woods and the Kardashians is not. Jordyn apparently ran into Kendall Jenner and Hailey Baldwin, and things got super awkward at the festival. So, Jordy, Kenny, and Hailey were all chilling in cabanas at the Bootsy Bellows, McDonald's, and PacSun day party when the encounter happened. Apparently, Jordyn was there with her mom and Jaden Smith, and Kendall and Hailey were together. At one point, "Hailey and Kendall saw Jordyn and both gave her a stare," an Us Weekly source said. The source then went on to say that Jordyn was "visibly uncomfortable by their reaction" and was apparently arguing with her mom at the same time. The Us source added that Jordyn got a little snippy and told her mom, "I don't want to discuss this right now." Nobody knows what they were arguing about, btw, but obviously you don't want to look unhappy in front of your apparent nemeses! Especially when they're related to your former BFF and will probably text her within five seconds of seeing you! And especially when there are a bunch of onlookers around! It was helllllaaa awkward, to say the least. But it didn't take long for Jordyn to embody her "I don't need your situation" motto and leave the party to probably go to another party on the festival grounds. And once she left, Kendall and Hailey reportedly "became a lot more social with everyone."